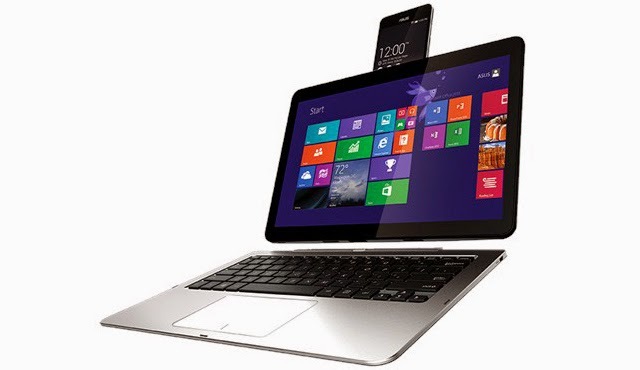 One of the devices announced at Computex in Taipei is the Asus Transformer Book V. This device is a “five-mode, three-in-one converged laptop” as it can be used in three methods; phone, tablet, or a laptop. 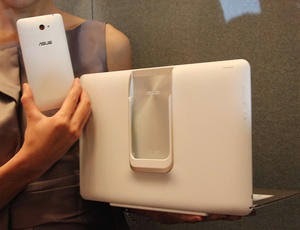 Former devices that Asus created was the PadFone that allows the user to insert the phone into the tablet and use it as a bigger monitor and up to 63 hours of extended battery life. The Asus Transformer Book V, is not used the same way as the PadFone but as an actual tablet with its own processor, RAM, storage and uses Windows as its operating System. 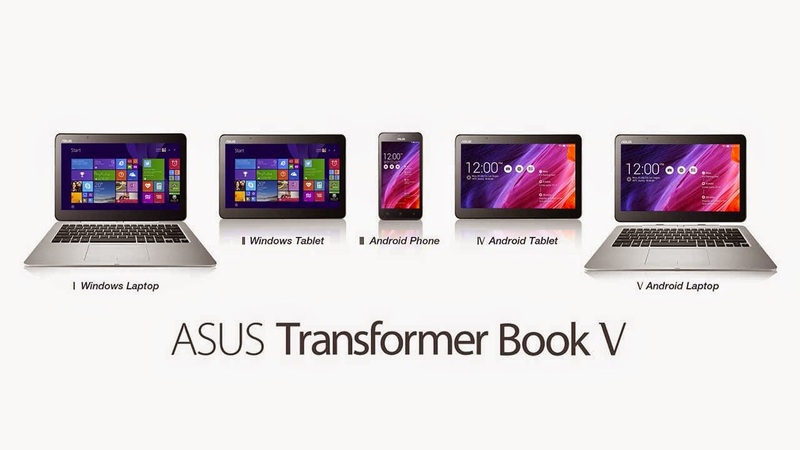 With the Asus Transformer Book V, the choice is yours when you use the tablet. Use Windows or insert your phone and use Android as the operating system. Why not attach a keyboard to it and make it a laptop? There is a wide range of possibilities available as you can choose from an Android phone, tablet, or laptop to a Windows tablet or laptop. The Transformer Book V Phone has a five-inch, "HD" IPS LCD and runs Android 4.4 on an Intel Atom quad-core processor, 2GB of RAM, "up to 64GB" of storage, an 8MP camera, and a 2550mAh battery. The tablet uses a 12.5-inch "HD" IPS LCD, and runs Windows 8.1 on an Intel Core processor, 4GB of RAM, 128GB of storage, and a "2 cell, 28WH" battery. These specifications are not confirmed as Asus did not announce many details about this device.